TTCC’s own All Star wins dream Edgbaston Test day! 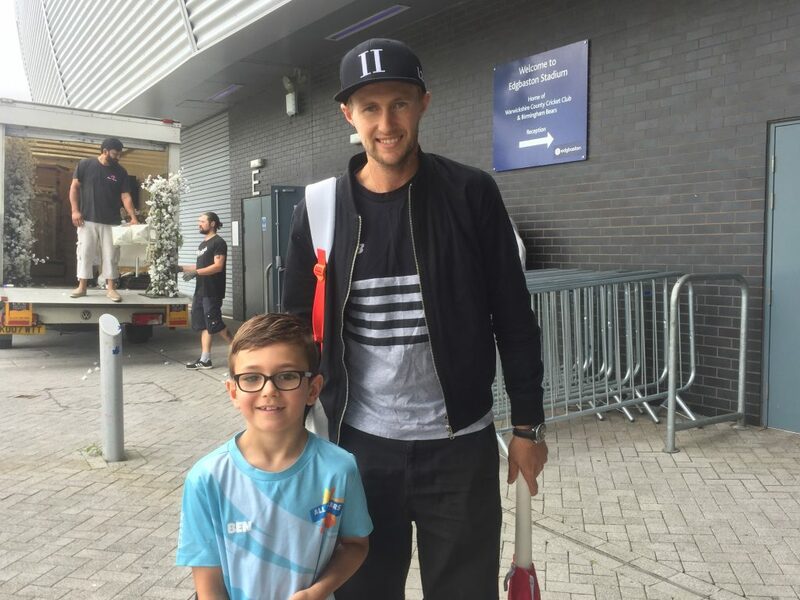 One of the 50-strong contingent of young “All Stars”, who so enjoyed their introduction to cricket over 8 weeks at Church Meadow this season – 7 year-old Ben Beerling – went on to win a dream day-out at Edgbaston, to watch the two men’s teams prepare for the First Test Match between England and India at the beginning of August. 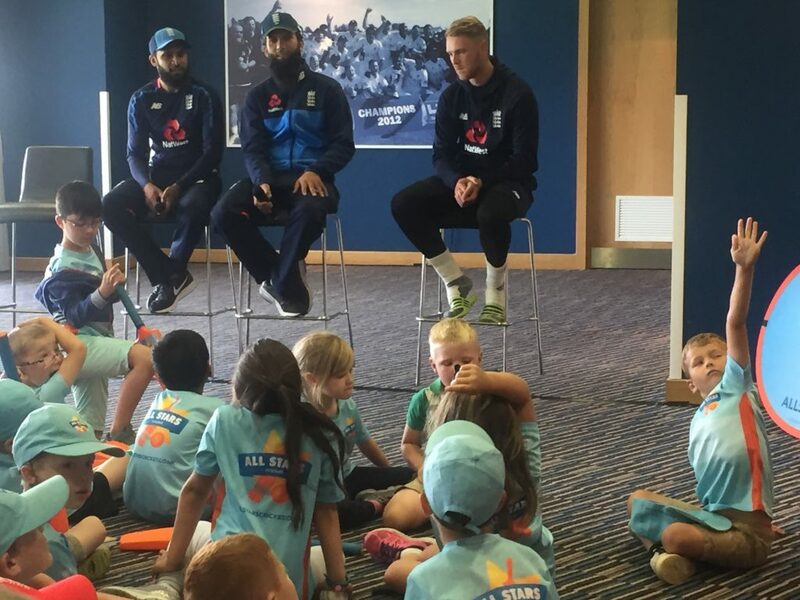 Called a “Money Can’t Buy Prize Draw”, the winners enjoyed an All Stars cricket session and then got the opportunity to meet several England stars and to ask questions of Adil Rashid, Moeen Ali and Jamie Porter in a press conference. Ben asked them who their sporting idols were when they were young, and Moeen asked Ben questions in return! 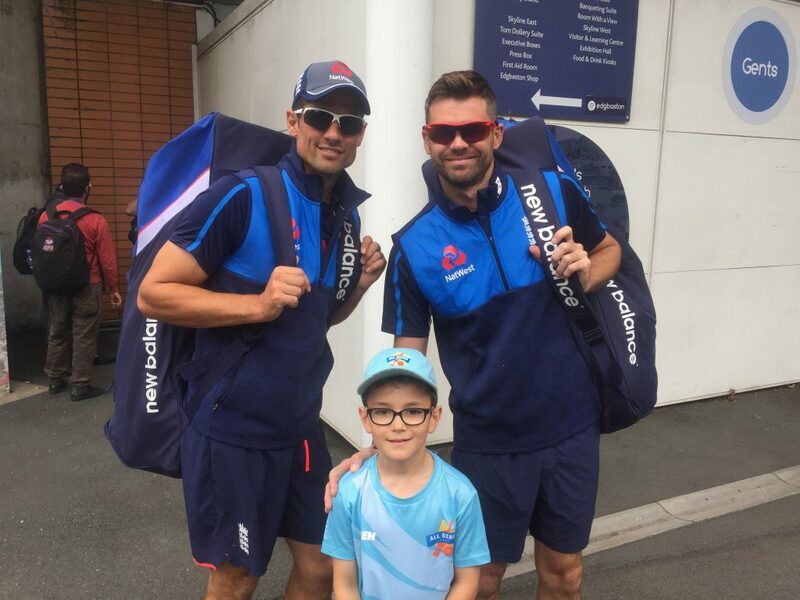 Not only did Ben see the squads in training, but he also got to meet some of England’s top stars, including the country’s record wicket-taking bowler, Jimmy Anderson and two of our batting greats, Joe Root and Alastair Cook. Ben was the only All Star to get a shot with both Alistair Cook and Jimmy Anderson. Truly the shot of the day! 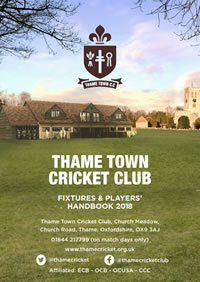 The All Stars cricket programme, launched by the ECB in association with local cricket clubs in 2017, is a fun way to start mastering the basic skills of cricket and will be returning to Church Meadow next May.